Last year, Google announced a new version of its account management hub with a vastly better interface and a few nifty extras. Now that it's been live for a year, Google is celebrating with some new features. First and foremost, there's a streamlined UI for finding your devices, but that's not all that's awaiting you in the My Account hub. The interface for "Find Your Phone" in the My Account tool is completely different today. 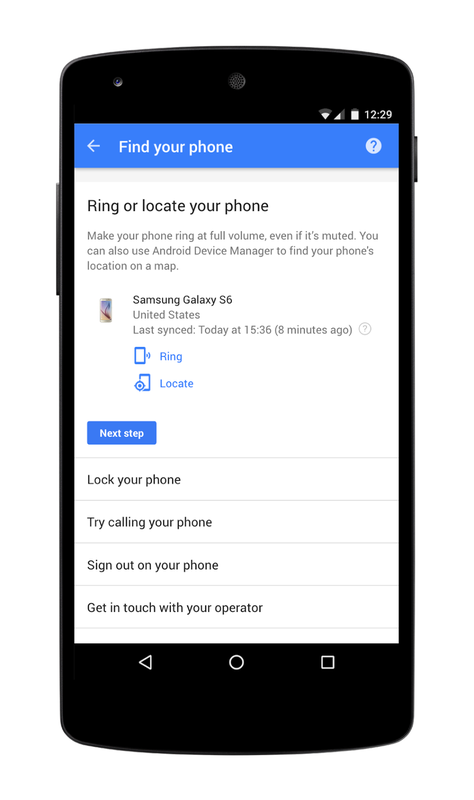 Of course, the actual Android Device Manager interface and capabilities have been around for years at this point. It's just the way you access those features that's changed. When you open Find Your phone you select your device from the list, then you're shown all the actions you can take including the usual ring/locate, lock phone, sign out, and reset. It also includes other helpful tips like contacting your carrier and checking local lost and found offices. These actions are arranged in more or less the order you'd want to undertake them. For example, location is at the top and erasing the device is at the bottom. Accessing My Account is simpler too. 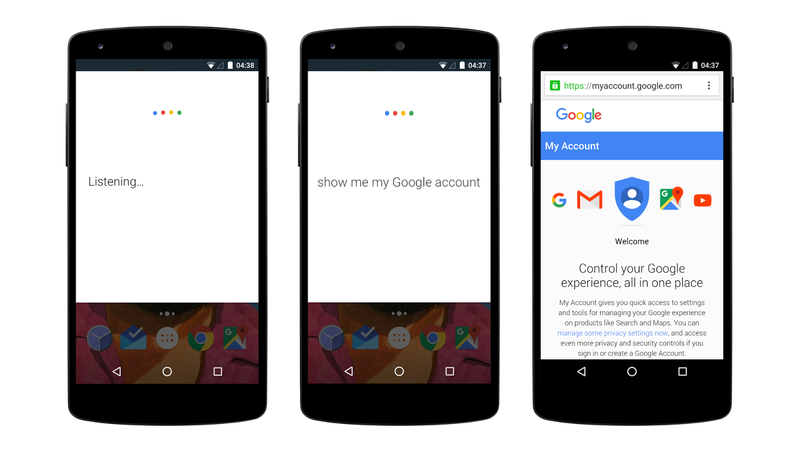 In the latest version of the Google app on Android, you can use voice search to say, "show me my Google account." It opens the main My Account page in your browser. 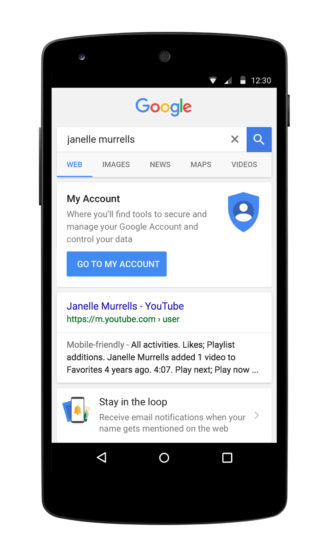 In the near future, Google will also add a link to My Account at the top of search results when you Google your own name. You do vanity searches all the time, right?